3rd-4th Century According to Sir Robert E. Matheson in Special Report on Surnames in Ireland (Dublin, 1909) the O’Clerkins are said to have been followers of the Three Collas and to have gone with them to Scotland and to have returned in the 4th century. According to the Annals, only 27 of the group of 300 who went to Scotland survived and were able to return. For the year 903 Cleirkin, King of the Ui Barchi is mentioned in connection with the Battle of Belach Mugedon. For the year 980 Armchadh, Bishop of Cill-dara, completed his virtuous life in this world, and an advanced life. Eogan Ua Cathain, Abbot of Cluain-feacta-brenarum, Sinach, son of Murthulan, Abbot of Beannchair, Clerchen, son of Donnghal, successor of Fiechin, Conaing Ua Flannagan, vice-airchinneach of Ard-Machand Rothechtach of Daimhinis, a priest died. 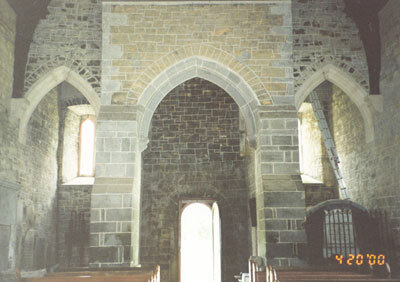 For the year 995 Cleirchene son of Leran priest of Ard Macha died. According to the "Monasticum Hibernicum", however, "994-Died Clerchen, the son of Leran, a presbyter (priest) of 36 Ancient Monasteries of Ireland"
For the year 1018 Ua Cleircein, Lord of Caille-Follamhain, was wounded and died after a short period. (Donovan says this forest was in Westmeath, but it is now believed that Caille-Follanhaim was in Meath where the modern version of the name is Killallon. For the year 1045..Glunairn Ua Clercen, lord of Ui-Cairbre, died. For the year 1088 (A battle is described which mentions Bruree and Drumain-ui-Cleirchen. In essence, the Ui-Fidghenti were driven out of Limerick as a result of this battle. The Cleirchen who remained in Limerick became Clerys and Clarkes. Other Cleirchen went to Tipperary where they established Ballycleireachain[Ballyclerihan], which they held until the coming of the Normans about a hundred years later. Interestingly, the family who took their lands in Tipperary were named MauClerc, a French name meaning "Cleric," which was anglicised to Mockler. Remains of the Clerihans' settlement still exist outside the modern village of Ballyclarahn. For the year 1108...Oenghus Ua Cleircein, Patrick's steward in Munster, died. 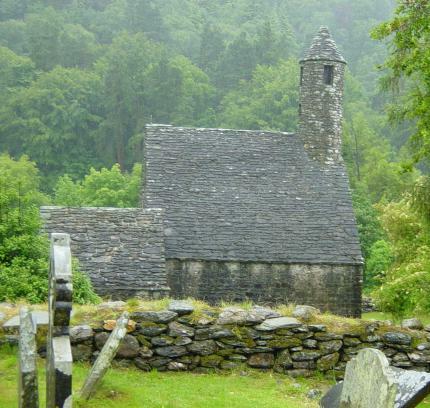 According to the Annals of Loch Ce, A.D. 1014-1590, Maelcalainn O'Cleirchen, was bishop of Glenn-da-locha in 1186. Interestingly, in the Annals of the History of Ireland, he is listed as Maelcallan MacClerken, son of Adam MacClerken. What the significance the Mac in one case, and the O' in another is not clear. The brave and high chief O Cleircinn." Maelcallan MacClerken, son of Adam MacClerken, was a Bishop of Clonfert-Brendan, according to the Annals of the History of Ireland.